Read :- Circular Memo.No.9940/SPF&MC/2015, dt.07.08.2017. 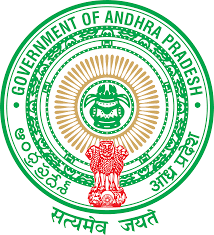 The issue regarding Para 6(k) of the guidelines according to which, in respect of Teachers interstate transfers are permissible only between the same management and same category / subject (in case of mutual transfers) in both the State Governments came up for discussion before the Chief Secretaries of AP and TS in the meeting held on 11.05.2018. It was decided to constitute a Committee with Principal Secretaries to Govt., Education Departments or their Representatives and Principal Secretaries to Govt. (SR) of both the States with Principal Secretary to Govt. (SR), Govt. of Andhra Pradesh as the Convener to examine the matter and arrive at a consensus. The Committee may also give recommendations, if any, for fine tuning of mutually agreed inter-State transfers policy and inter-State deputation policy.